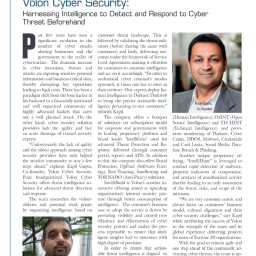 Volon’s Research team observed a spear phishing attack on Officials of Indian Ministry of External Affairs in early August. Crimson RAT was used as attack vector in this instance, same TTPs were observed by an APT group since 2016. 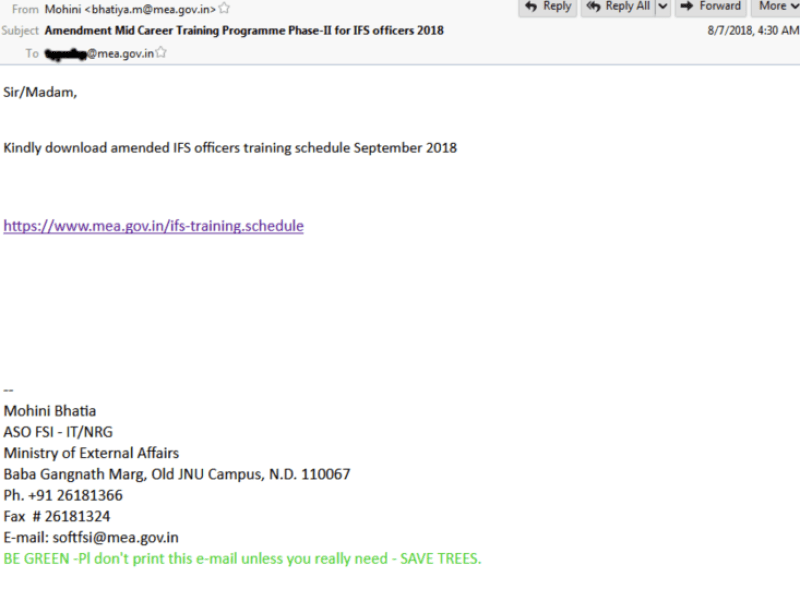 The email lures the officials by asking them to download the MS Excel sheet named “amended training schedule of IFS officers”. The download link provided in the email is shown as “hxxps://www.mea.gov.in/ifs-traning.schedule”, but it actually points to the malicious XLS document from URL: hxxp://info-sharing.net/?a=1533541533. In 2016, Proofpoint published a report on “Operation Transparent Tribe”. 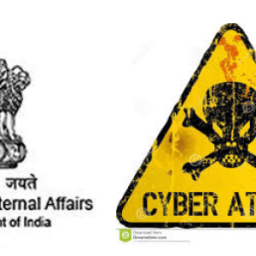 The report had details of various attacks against Indian Embassies in Saudi Arabia and Kazakhstan using Crimson RAT. And, in one of the campaigns, they found a XLS file fetching payload from same URL as we found in second campaign URL: “hxxp://afgcloud7.com/upld/updt.dll”. 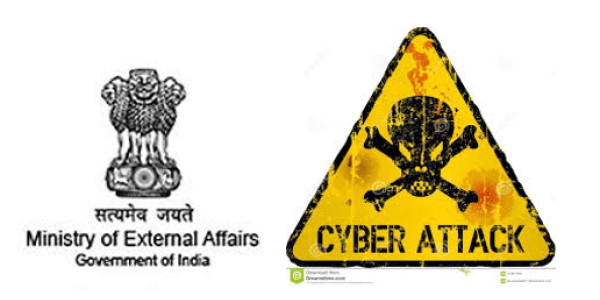 These details might indicate that the APT group behind Operation Transparent Tribe is active and targeting Indian officials, again. The lure of the campaign states the President’s schedule for the various meetings. First payload download fully functional Crimson RAT and drop it to following path: “C:\\ProgramData\\Hurmz\\bahgrtmrs.exe”. 1. proc1 – List all the running processes. 2. getavs – List of antiviruses running on the system. 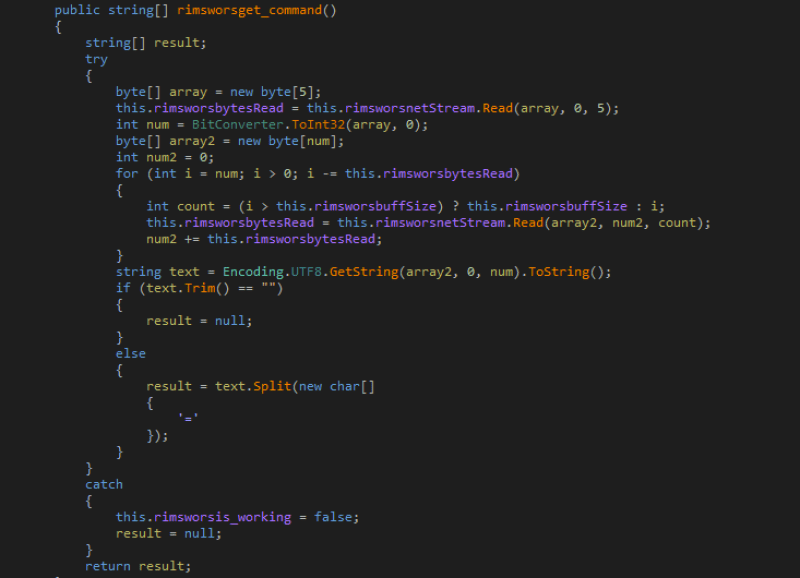 5. cownr – Update the binary. 6. dirs – Send disk drives list. Apart from above commands, the RAT has more functionalities like keylogging, browser credential theft and webcam access. 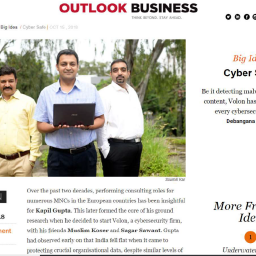 Based on the above campaigns, its TTPs, payload used and past reporting, there is high probability that the APT group behind “Operation Transparent Tribe” might be active and is targeting Indian organizations, again.